Rockfish are a diverse and important group of marine fishes, with over 70 different types to be found along the Northeast Pacific coast and over 100 worldwide. They come in a rainbow of colours, as evidenced by their names: Black Rockfish, Canary Rockfish, Yellowtail Rockfish, and so on. They are members of the scorpion fish family, (Scorpaenidae), so it should be no great surprise that the spines on the fins are sometimes venomous, and skin punctures can be very painful. The different species enjoy a number of habitats. Some live in the rocky reefs, some linger within the canopy of the kelp forests, and some inhabit the deep seafloor. They are prevalent in every underwater habitat from the sub-tidal down across the continental shelf and beyond 8,000 feet deep. Individuals of some species live to be over 200 years old! The diet of each species varies, but includes plankton, krill, octopus, shrimp, small fishes, crabs and squid. Size is also a variable factor across the species. A number of rockfish populations are in vulnerable due to over-fishing and recent oceanographic and climate conditions. As many types of rockfish produce just a few young per year, commercial and recreational fishing has greatly reduced the once-plentiful populations along the coasts of the region. Individual rockfish pose difficulty in identification, both because of the numbers of species and because of their morphological similarity and variability. Some authorities have grouped the species into five colour categories: Red, Black, Red/Black, or White-Spotted Red. These categories are further sub-divided by the strength of their spines – either weak or strong. Red rockfishes have a light background coloration of orange, yellow, or, most commonly, red. Typically, dark blotches are present on the back and often extend from the base of the dorsal fin to below the lateral line; these blotches may be diffuse or relatively discrete. The infrequent dark phase of some typically red rockfishes is noted under the description of body color. In general, dark red-category rockfishes have a much redder body than black category rockfishes. If you observe any in this category, they are likely to be at the limits of recreational dive depths. Black rockfishes have predominantly dark background coloration. Most are a uniform dark color, ranging from black to brown with darker blotching or pale areas on the dorsum and lightening to white, grey, or pink ventrally. Others, often more shallow water species, may display strongly contrasting colors such as black and yellow. Red/black rockfishes possess almost equal proportions of light and dark colors, as the label suggests, which makes selecting either the red or black category difficult. No unifying color pattern is apparent among these fishes; however, a characteristic color combination (e.g., horizontal striping) is often sufficient for identification. Banded rockfishes possess between 4 and 6 discrete vertical bands of dark color (red to black) on a light background of white, pink, or yellow. With the exception of the Treefish (Sebastes serriceps) in the southern part of the region, you will be unlikely to see any of this category at diving depth. White-spotted Red rockfishes possess a light coloured body with 2-5 pale areas (i.e., spots) above the lateral line. Once again, these are relatively rare at diving depth. 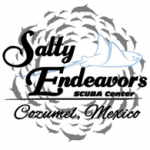 Some of the species that you may encounter at diving depth are listed below. The list also indicates the maximum adult size, whether they have a strong or weak spine arrangement and the colour category.